We offer an authentically Adirondack event space for hire at our Sugar House! Great for birthday parties, bridal and baby showers, and even small weddings. Seating approximately 150 people, it’s a perfectly intimate space to hold your event. The pancake house is a great place for friends and family to meet, have breakfast and relax. 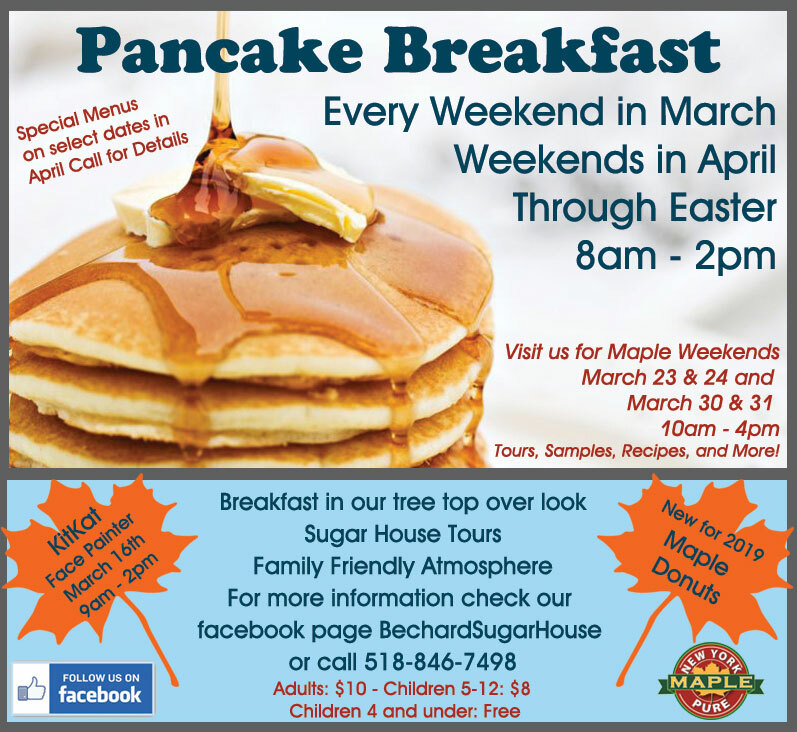 The Bechard’s Pancake Breakfast starts the first week of March, going into April. All posted on Facebook and local ads. Please contact Tammy with any inquiries!